The Illinois Fighting Illini travel to Williams Arena to play the Minnesota Golden Gophers on Wednesday, January 3, 2018. The opening line for this game has Minnesota as 7.5 point favorites. Illinois heads into this matchup with a mark of 10-5. They currently have a point differential of 10.9 as they are averaging 80.3 points per contest while giving up 69.5 per game. Minnesota has an overall record of 12-3. They are averaging 83.8 points per game and surrendering 70.6, good for a point differential of 13.2. Michael Finke averages 11.5 points per game in 27.1 minutes per contest this season. He averages 1.1 assists per contest and 5.8 rebounds per game. His field goal percentage is 52% for the year while his free throw percentage is 61%. Leron Black averages 14.8 points per game while playing 26.3 minutes per night this season. He pulls down 5.9 rebounds per game and dishes out 1.3 assists per game as well. His field goal percentage is 55% while his free throw percentage is at 82%. Nate Mason averages 15.5 points per game this season and he sees the court an average of 30.1 minutes per contest. He also averages 3.9 rebounds per contest and 4.1 assists per game. His field goal percentage is 42% and his free throw percentage is 78%. Jordan Murphy averages 19.1 points per game while playing 30.9 minutes per contest this year. He grabs 12.6 rebounds per game and has 1.5 assists per contest on the year. His field goal percentage is 55% and his free throw percentage is at 74%. The Fighting Illini allow 69.5 points per game to their opponents which ranks them 121st in the nation. They also allow a 44% shooting percentage and a 33% average from behind the arc, ranking them 178th and 103rd in those defensive categories. Opponents average 32.3 rebounds a game which ranks 70th, and they give up 10.9 assists per contest, which puts them in 35th place in the country. They force 19.2 turnovers per game which ranks them 346th in college basketball. 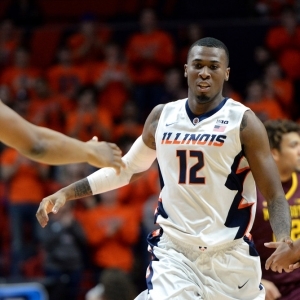 Illinois averages 80.3 points per contest this season, which ranks them 68th in Division 1. Their average scoring margin is 10.9 and their shooting percentage is 44% as a team, which has them ranked 206th. Behind the arc they shoot 33% which is good for 245th in D-1. They average 37.7 rebounds per game and 14.3 assists per game, which ranks them 117th and 163rd in those offensive categories. In the turnover department they rank 78th with 14.9 per game. The Golden Gophers surrender 70.6 points per contest, which ranks them 146th in the country. Their defense allows a 40% shooting percentage and a 36% average from 3-point range, ranking them 59th and 236th in those defensive statistics. They rank 231st with 14.1 assists allowed per contest, and 240th with 36.5 rebounds surrendered per game. The Golden Gophers are 101st in the nation in forcing turnovers with 12.8 per game this season. Minnesota is 34th in Division 1 with 83.8 points per game this year. They are 128th in the country in shooting at 46%, while their average scoring margin is 13.2. They shoot 36% from 3-point range, which is good for 148th in the nation. They are 6th in college basketball in rebounding with 43.2 boards per game and 32nd in assists per contest with 17.5. The Golden Gophers are 328th in turnovers per game with 11.3. The Fighting Illini are 142nd in the nation in offensive rating with 106.9, and their defensive rating of 92.5 is ranked 40th. In terms of pace they are 56th in the country with 73.9 possessions per 40 minutes, and their effective field goal percentage of 50% is 226th. As a team they are 201st in college basketball in true shooting percentage with 54% and they shoot 3-pointers on 34% of their shots, ranking 249th in Division 1. Illinois is 145th in turnovers, as they turn the ball over an average of 16.7 times per 100 possessions while forcing 22.6 on the defensive end. Their defensive effective field goal percentage for the season currently is 49%, which is 127th in the nation. Minnesota is 340th in college basketball in turnovers, as they turn the ball over an average of 12.9 times per 100 possessions while forcing 15.2 on the defensive end. Their defensive effective field goal percentage for the season currently is 47%, which is 65th in the nation. The Golden Gophers are 37th in the country in offensive rating with 114.6, and their defensive rating of 96.5 is ranked 101st. In terms of pace they are 70th in Division 1 with 73.2 possessions per 40 minutes, and their effective field goal percentage of 51% is 195th. As a team they are 162nd in D-1 in true shooting percentage with 55% and they shoot 3-pointers on 30% of their shots, ranking 319th in the nation. 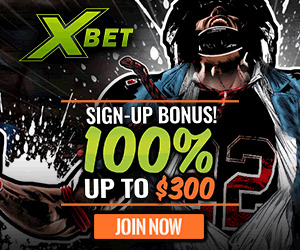 Who will win tonight's Illinois/Minnesota college basketball game against the spread?